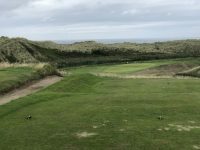 Click here to book at tee time at Bushfoot during the dates of The 148th Open at Royal Portrush! It’s hard to find a true “hidden gem” anymore, primarily due to the long period of time that Hidden Links® has been sending golfers to the UK and Ireland! 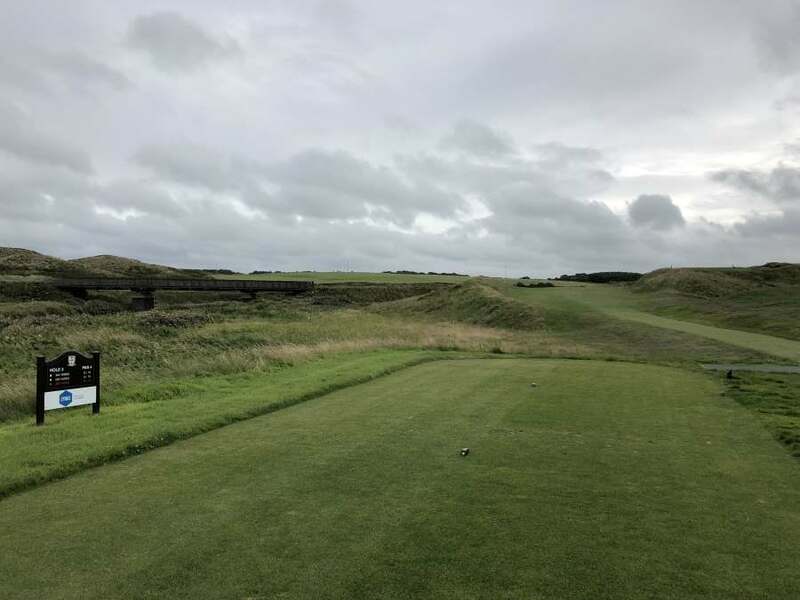 But with the explosion of golf writers and golf producers needing to find subjects to write and talk about, just about every conceivable course has had its day in the spotlight by now. 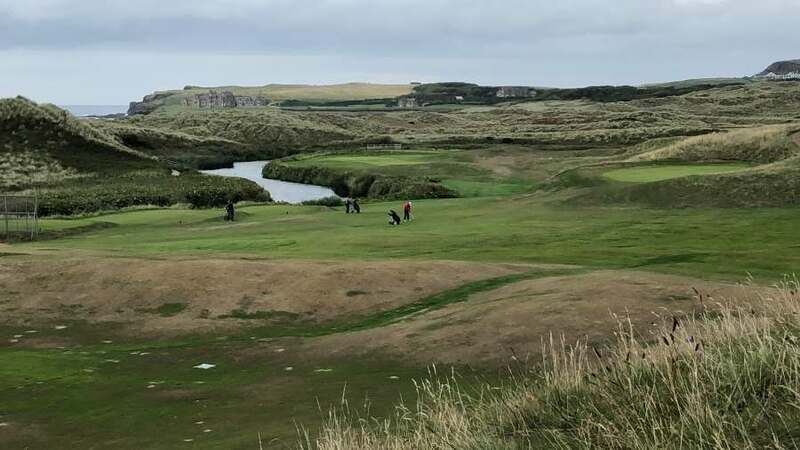 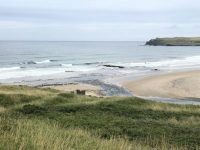 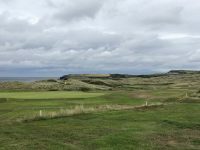 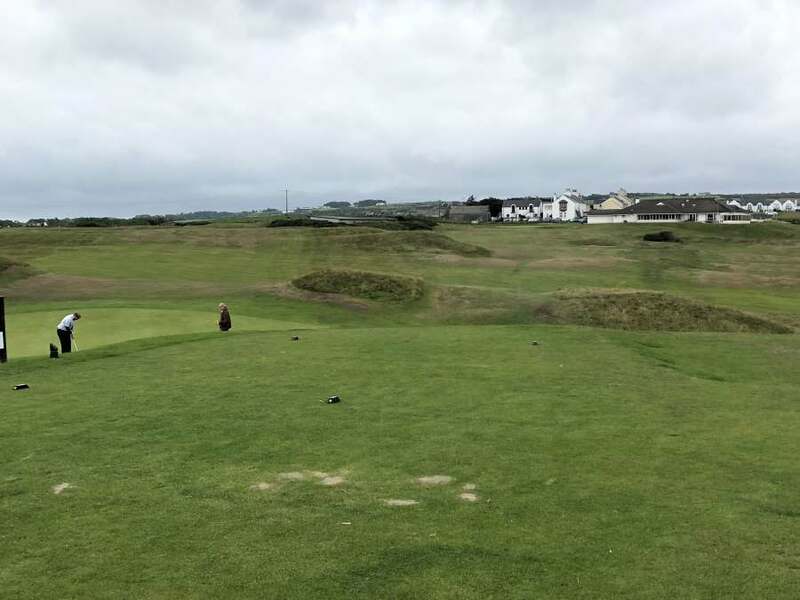 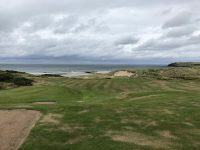 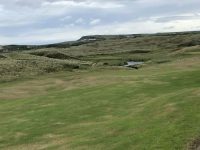 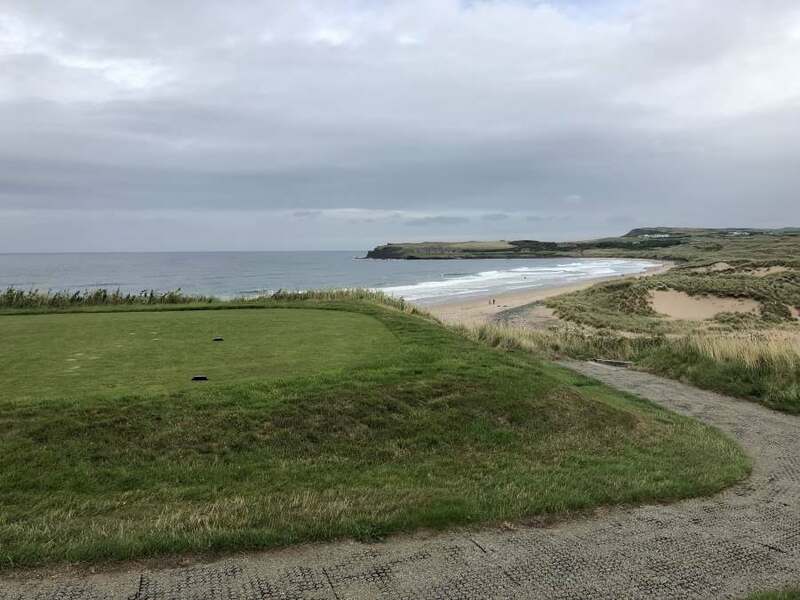 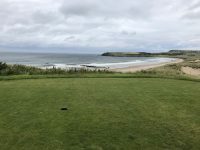 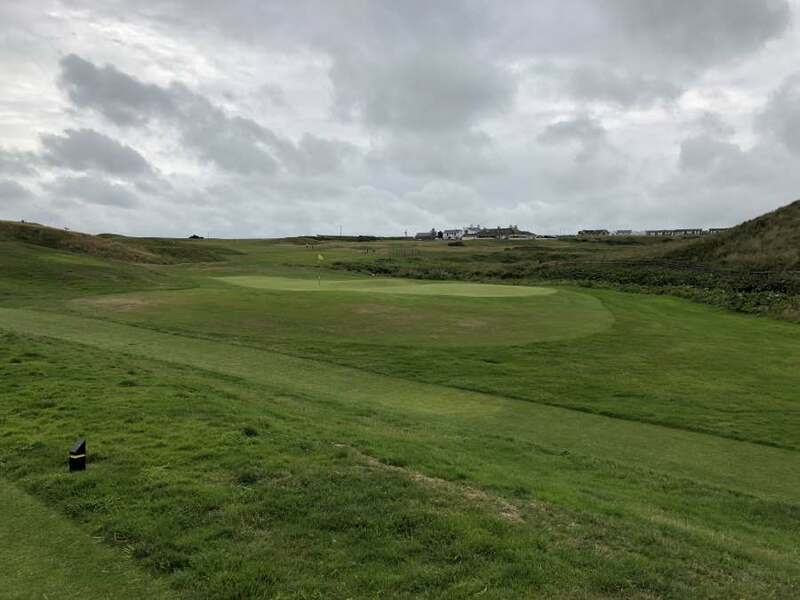 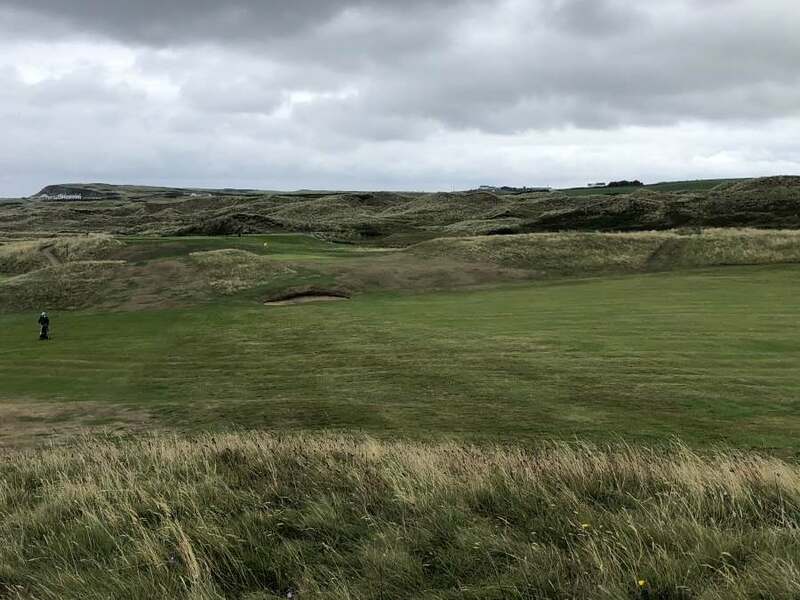 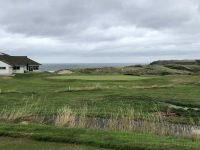 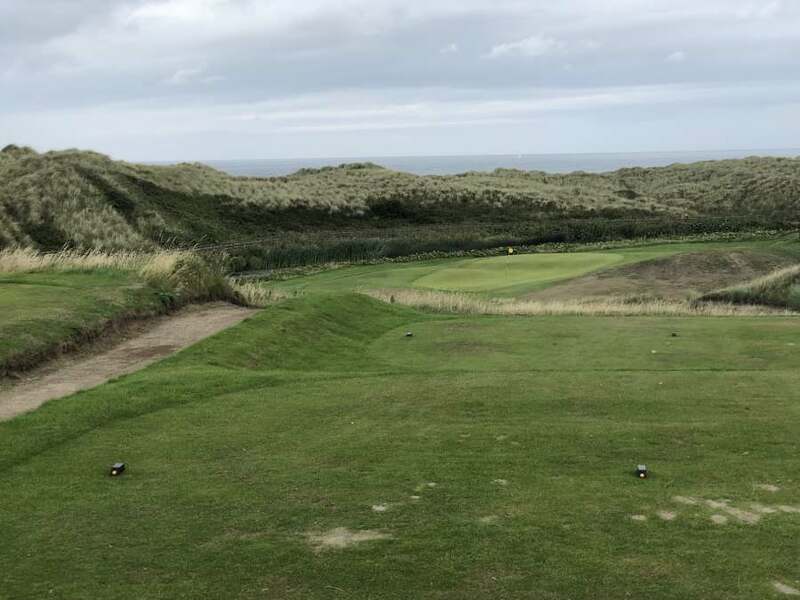 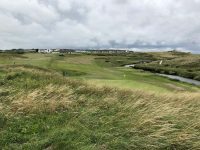 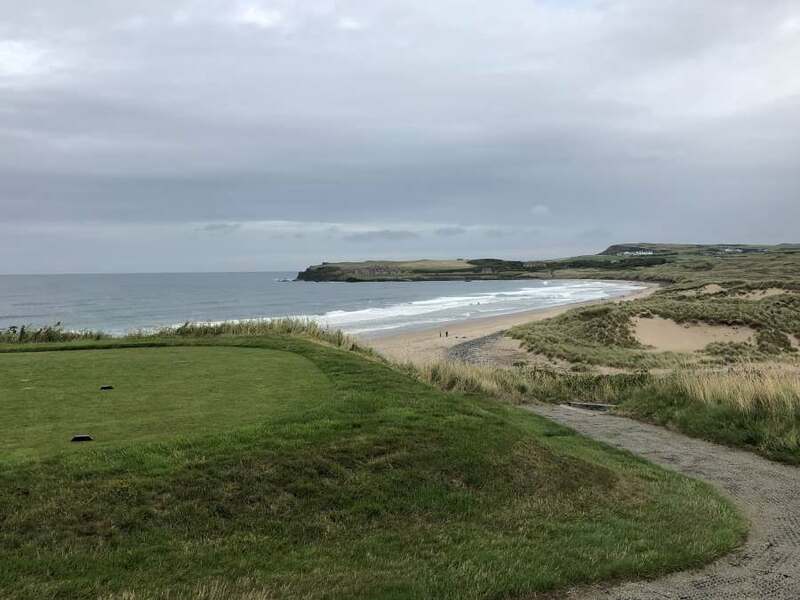 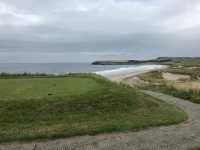 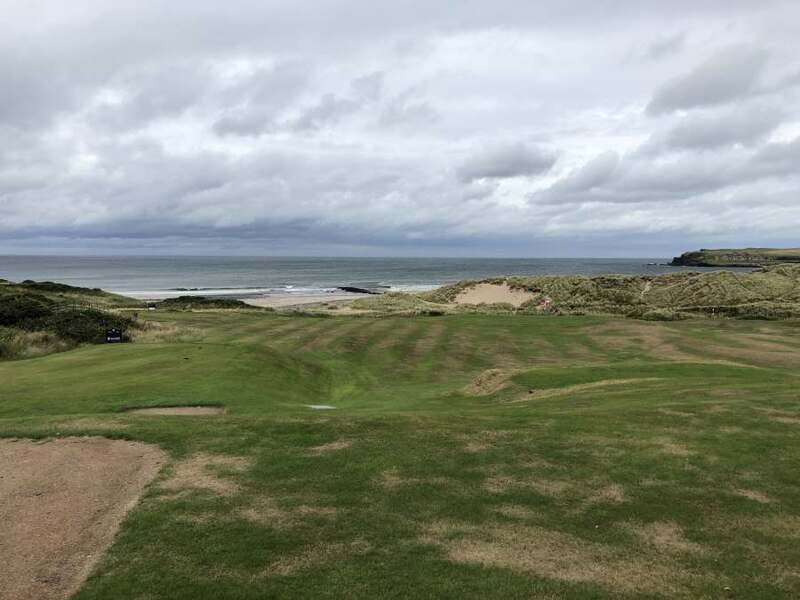 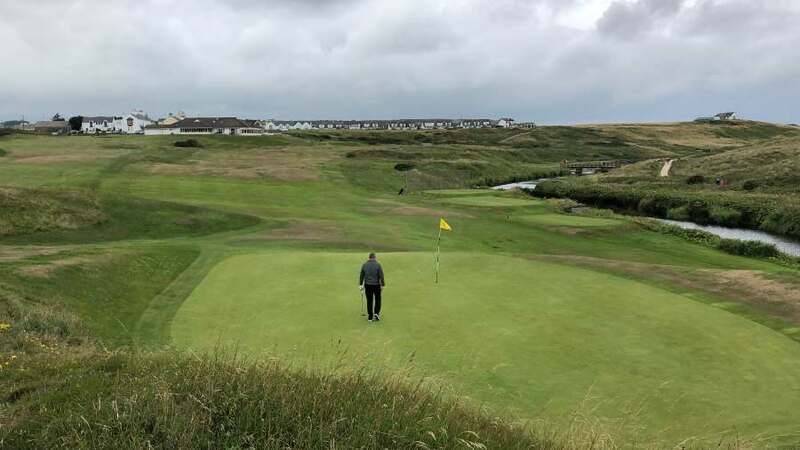 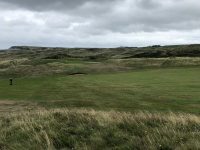 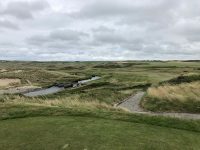 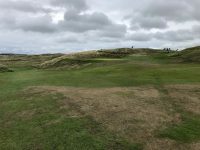 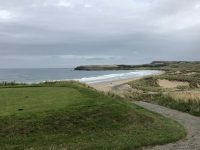 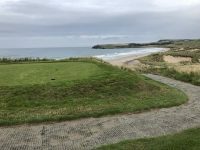 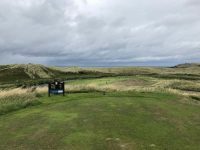 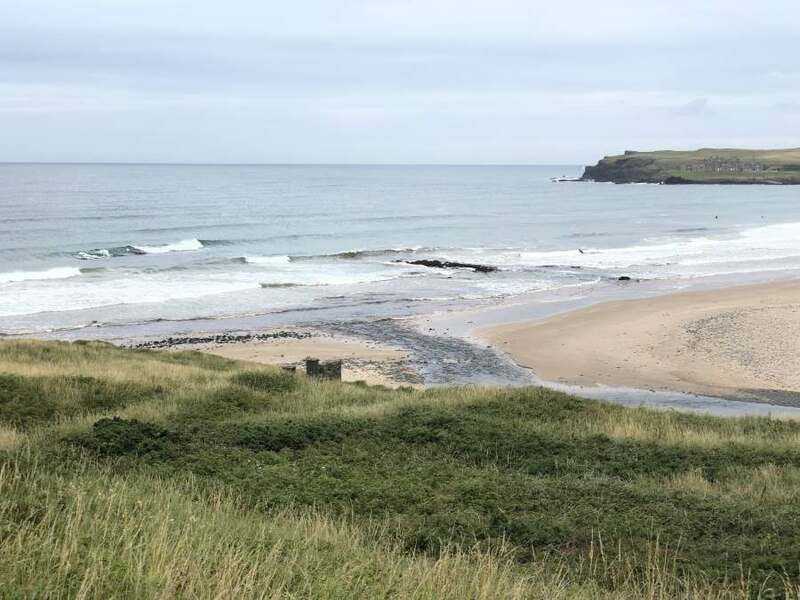 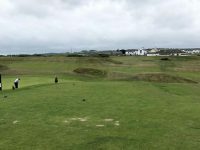 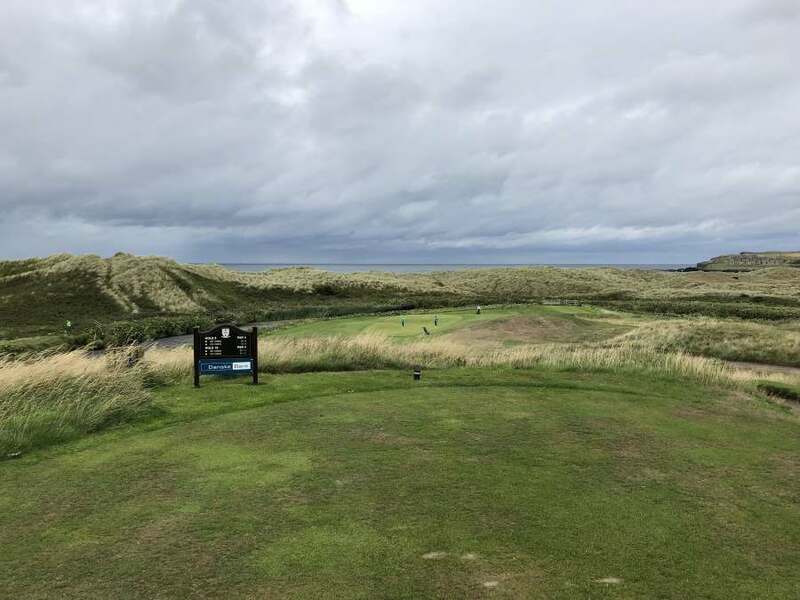 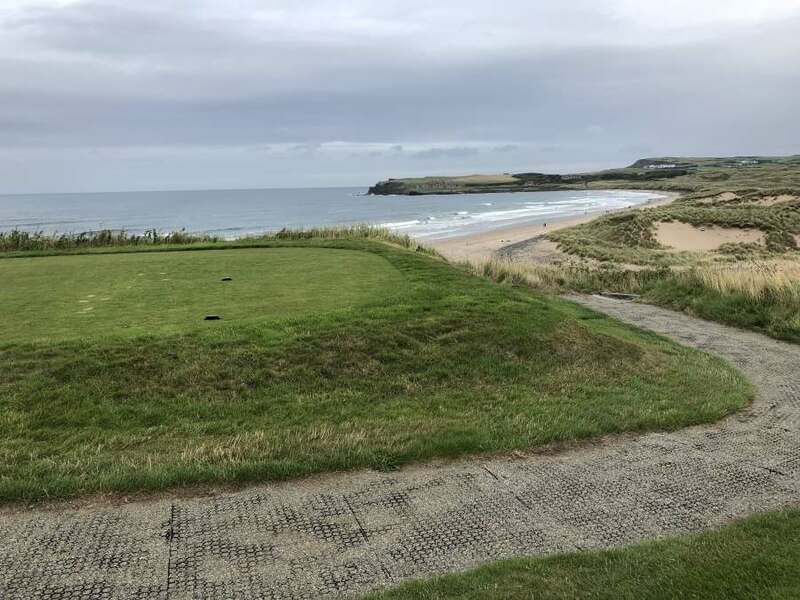 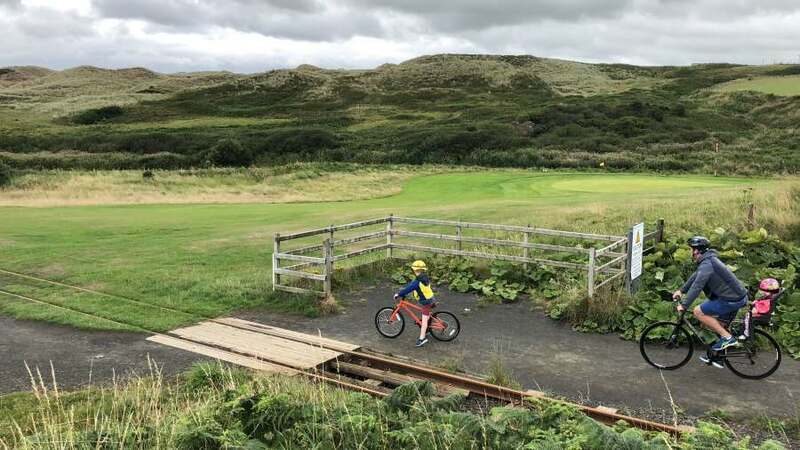 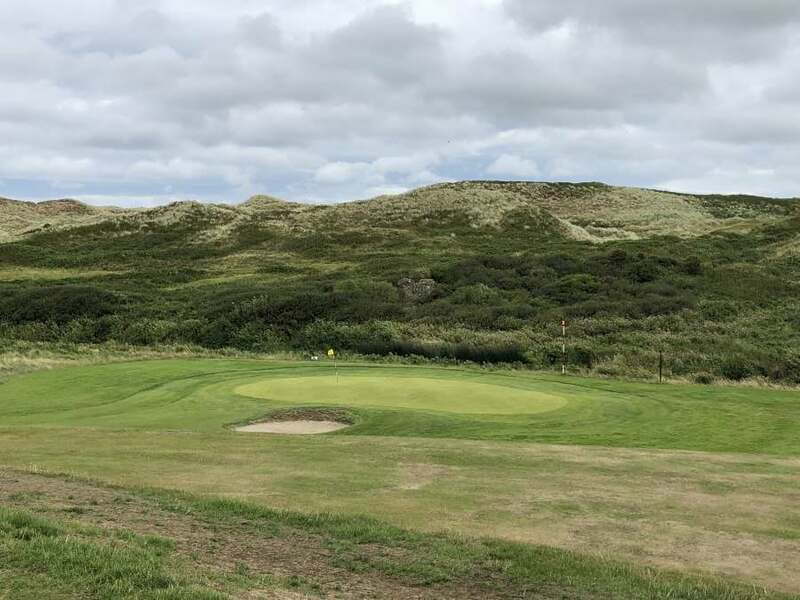 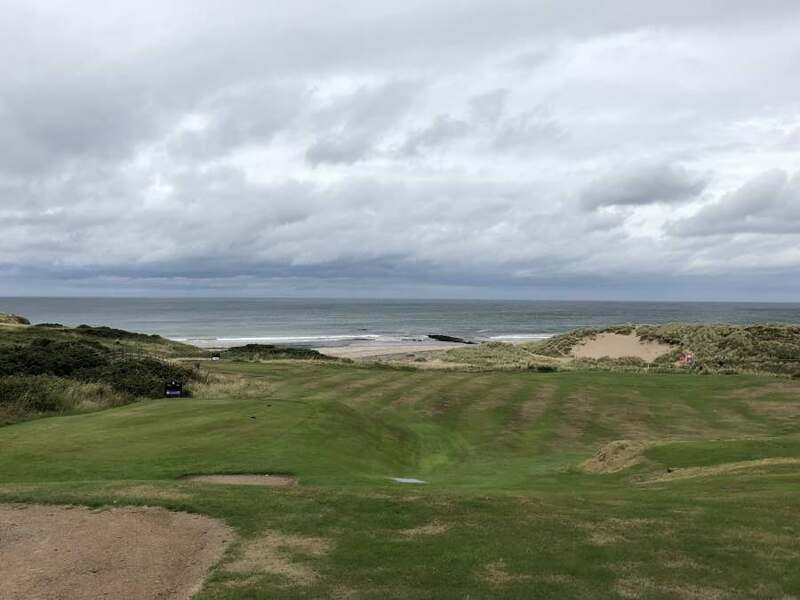 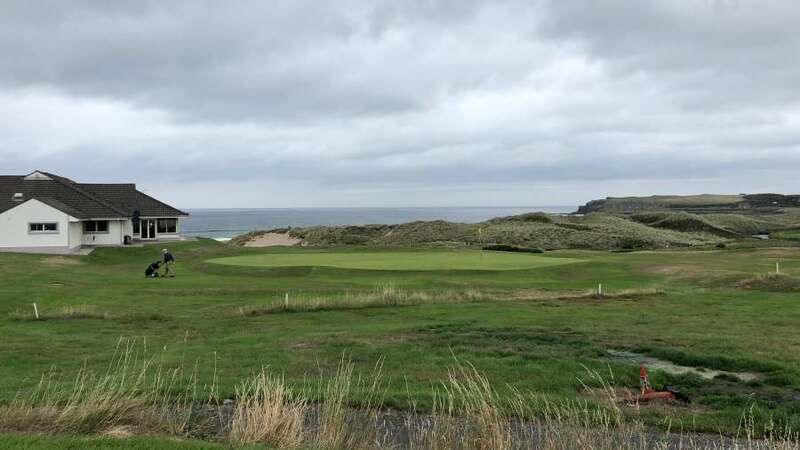 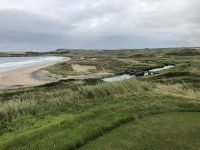 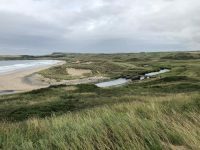 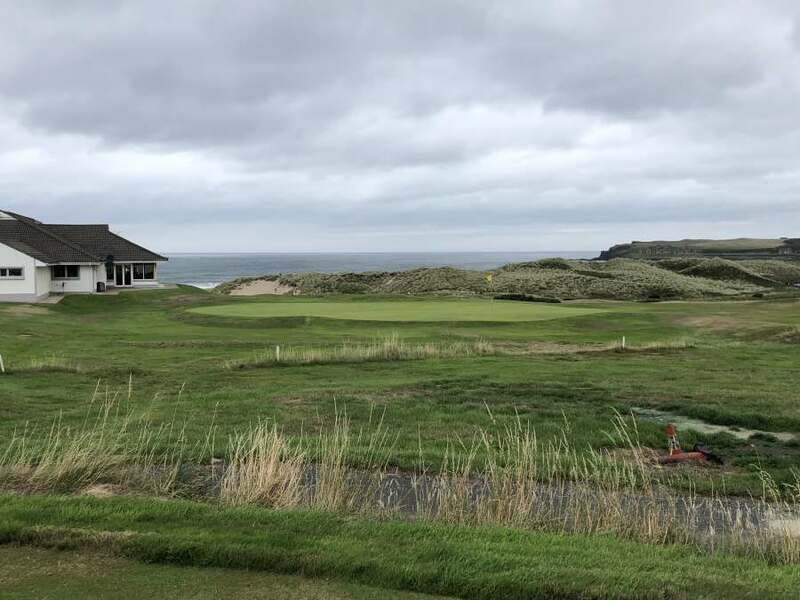 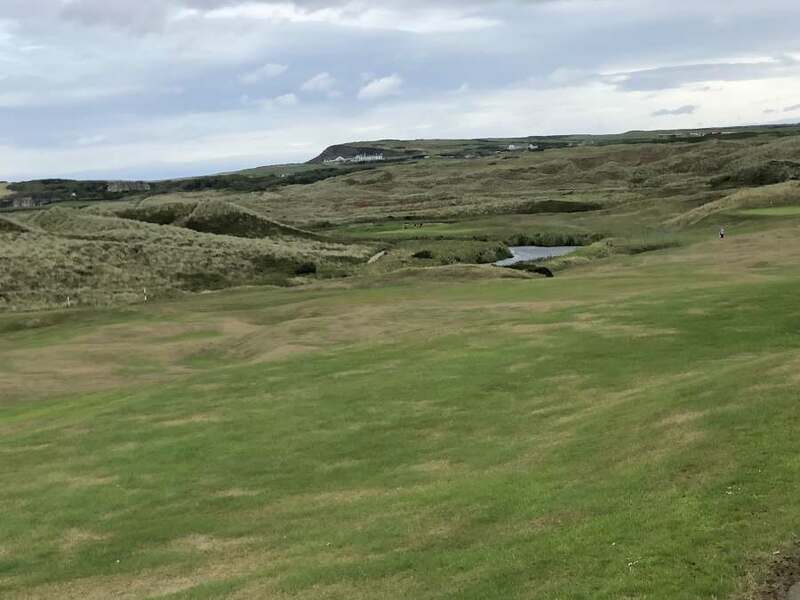 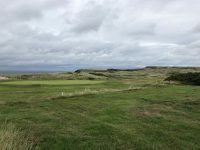 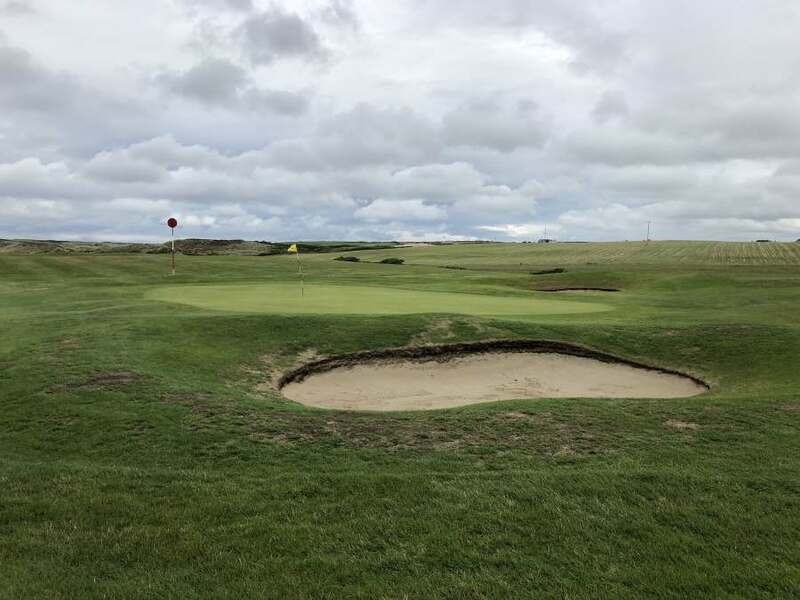 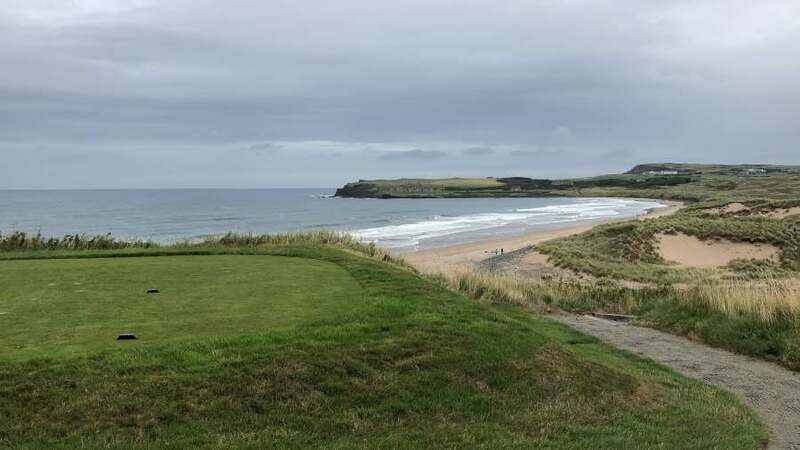 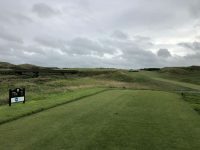 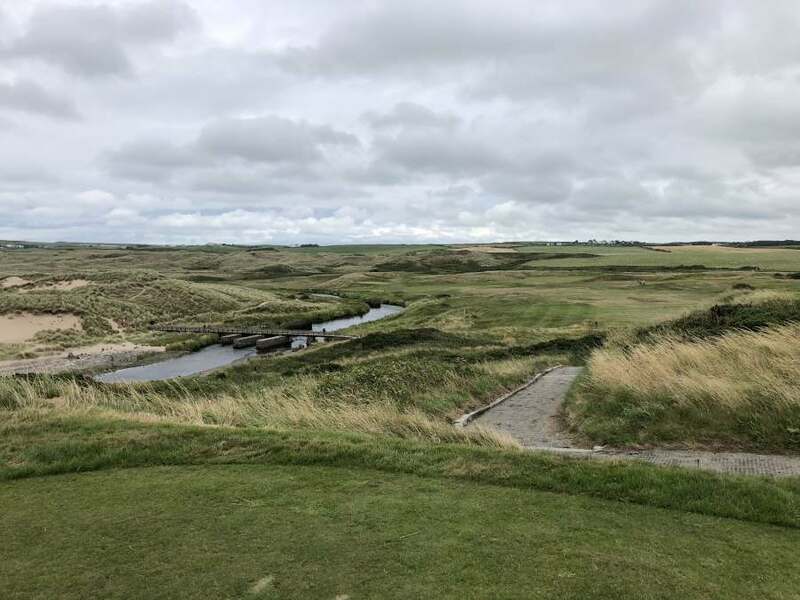 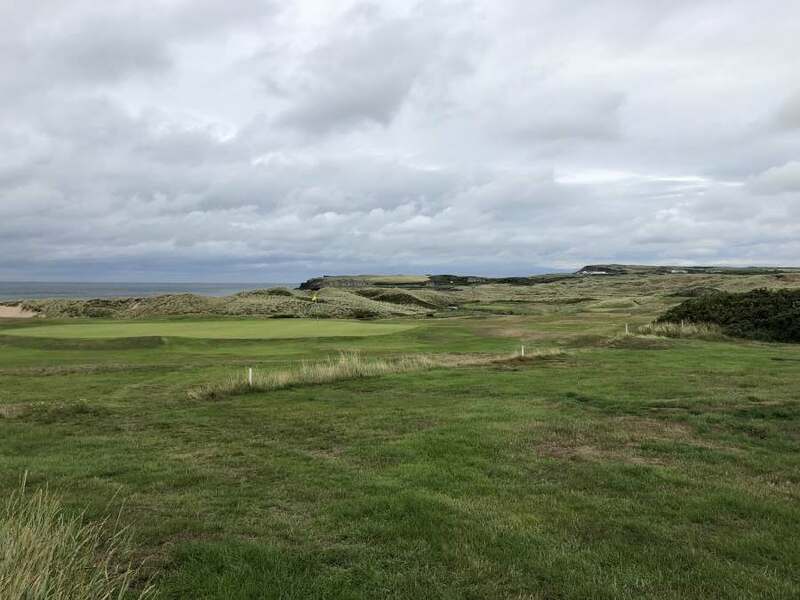 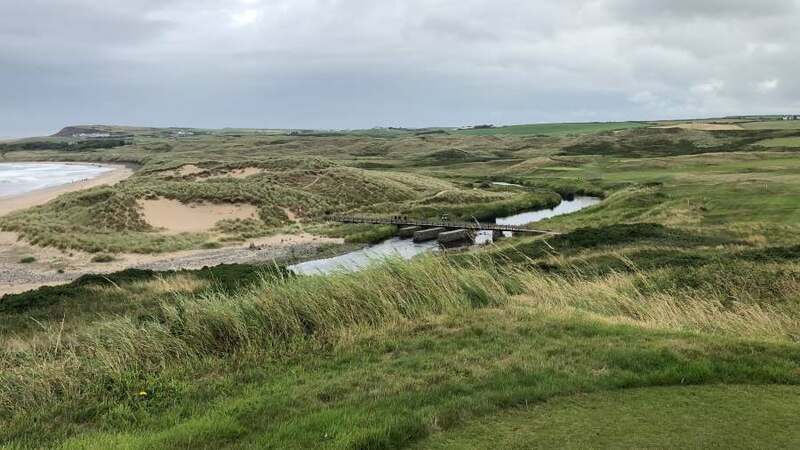 However there was still one out there waiting to be discovered and it is amazingly located just 5 minutes from Royal Portrush Golf Club in Northern Ireland, venue for The 148th Open in 2019. 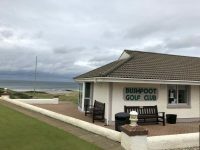 This is Bushfoot Golf Club, a nine-hole impossible-gem of a links course with the greatest first tee this side of Machrihanish! 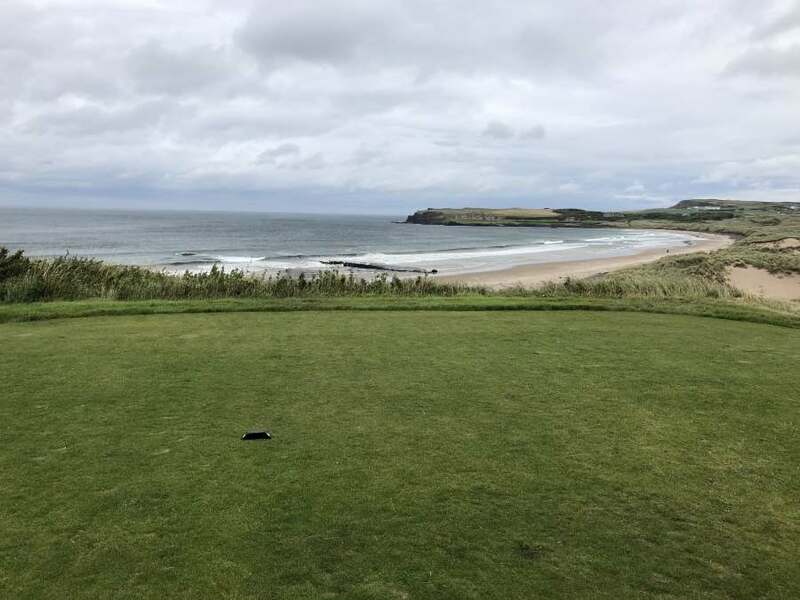 What a place to play a few holes before heading over to The Open! 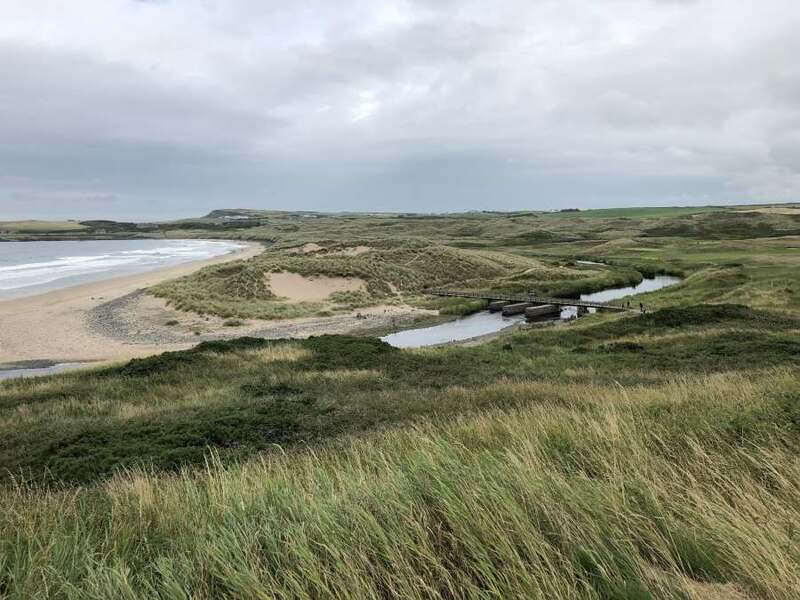 Set high on a dune above the beach, the River Bush runs right into the sea just below the first tee and yes this is where Bushfoot gets its name, this is the “foot” of the river! 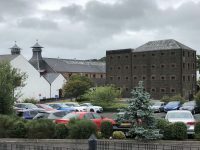 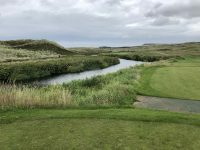 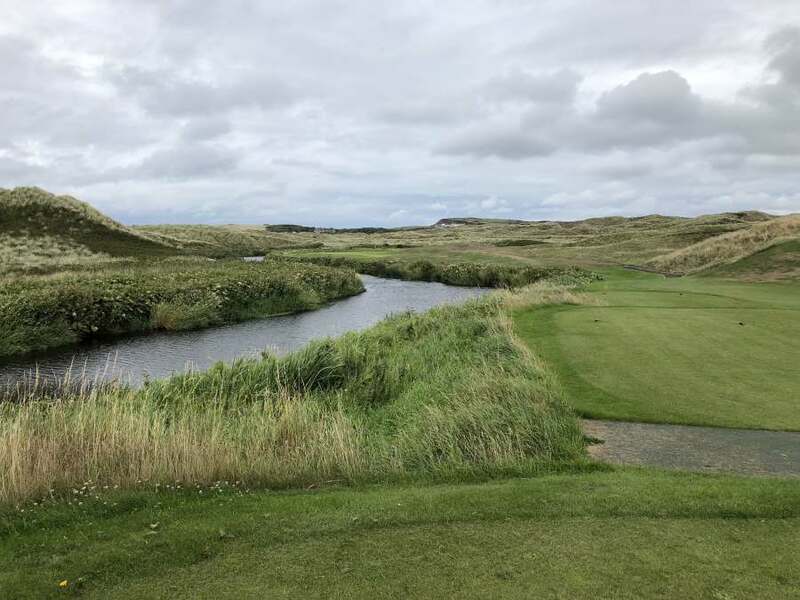 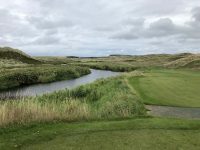 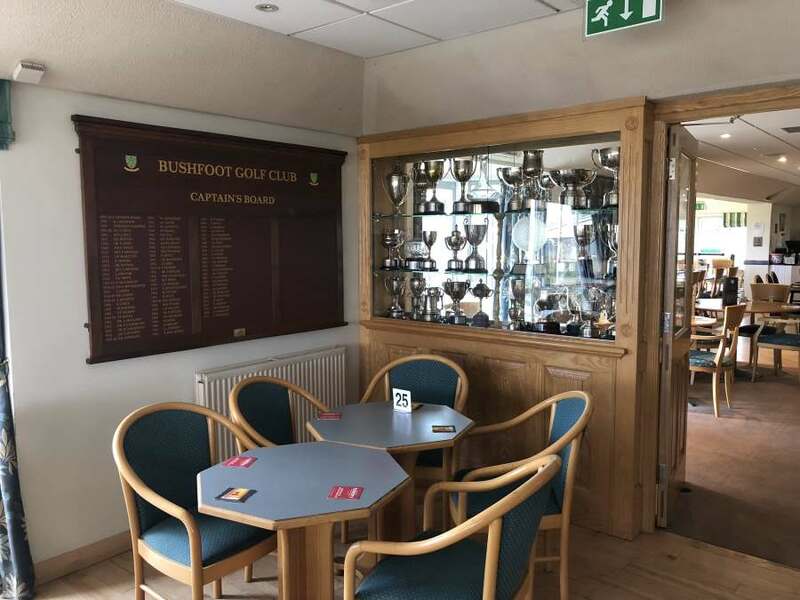 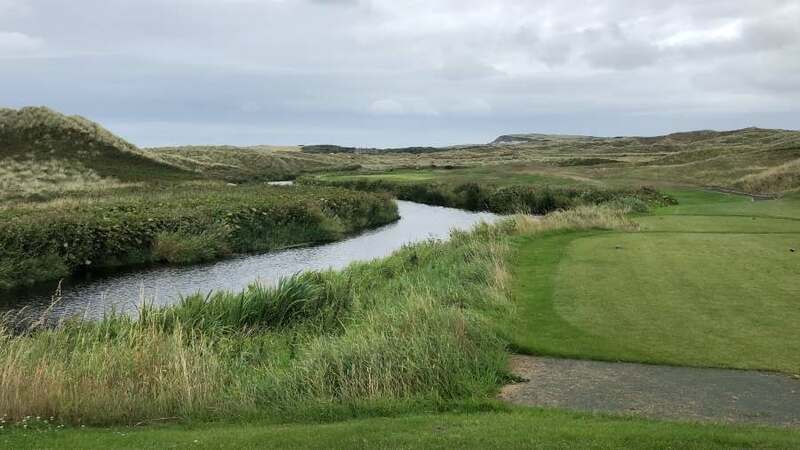 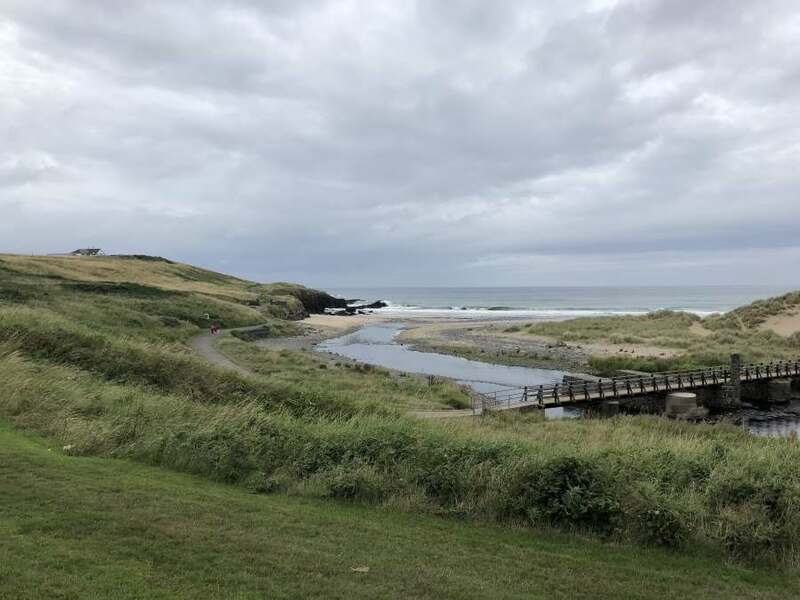 The River Bush also feeds the famous Olde Bushmills Distillery just a mile or so away so it can be said that Bushfoot Golf Club is nourished by the very same water that goes into one of the world’s finest whiskeys! Very appropriate for this region. Bushfoot is not “championship level” golf but this doesn’t deter 2011 Open Champion Darren Clarke from being a member! Bushfoot is a place where Darren can knock it around in peace and solitude with his buddies without attracting attention. 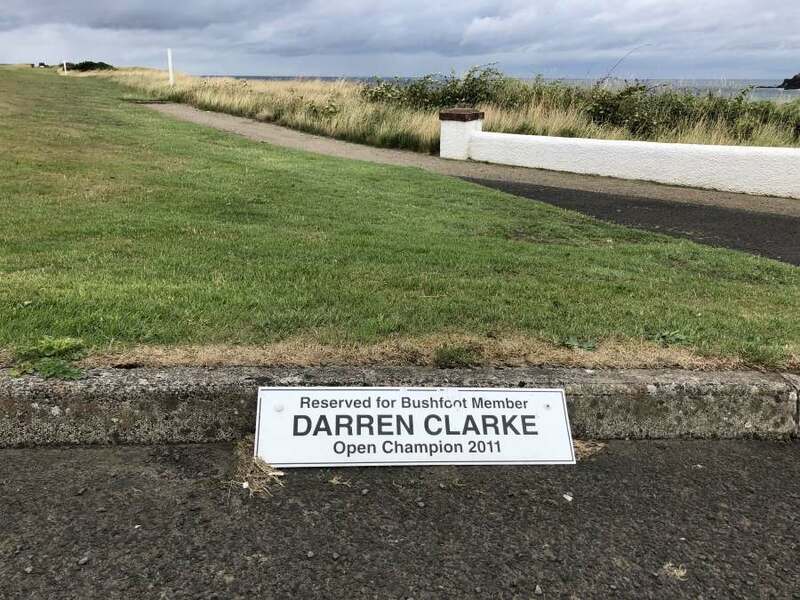 He even has his own permanent parking space but even that is somewhat inconspicuous! 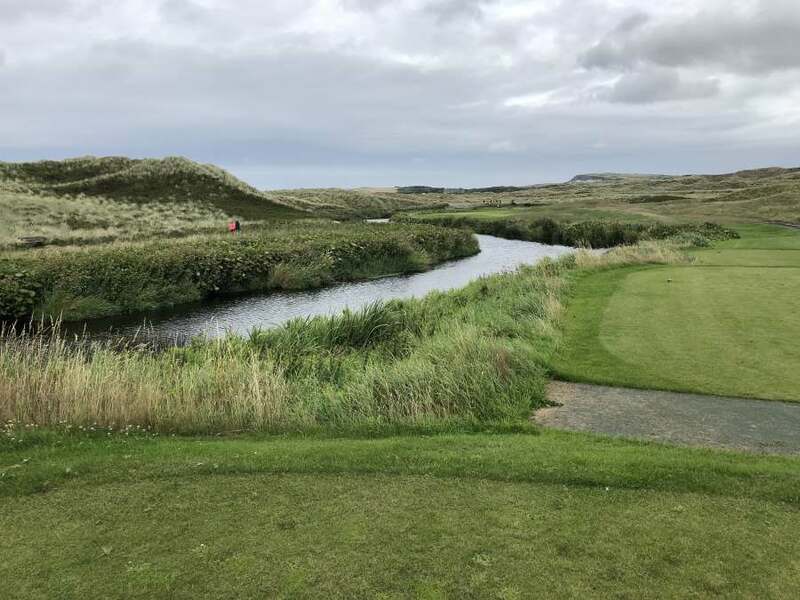 The River Bush comes into play both on the first and on the short par 3 second. 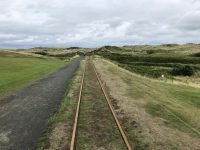 Then the course gradually turns inland towards the distillery and though it evolves more into parkland-style golf for a few holes it’s still interesting with features such as the Giant’s Causeway railway crossing the 3rd fairway and the tee shot on the 8th is blind over Bushfoot’s version of the Old Course at St. Andrews’ “sheds” on the famous Road Hole. 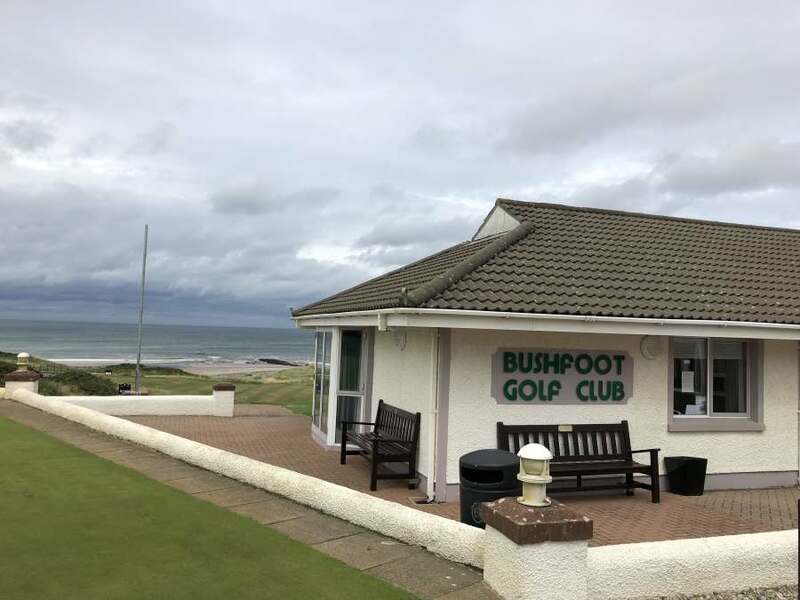 Different sets of tees make a second loop of Bushfoot’s nine holes different and interesting and a round here is one of the great values still to be found in golf. 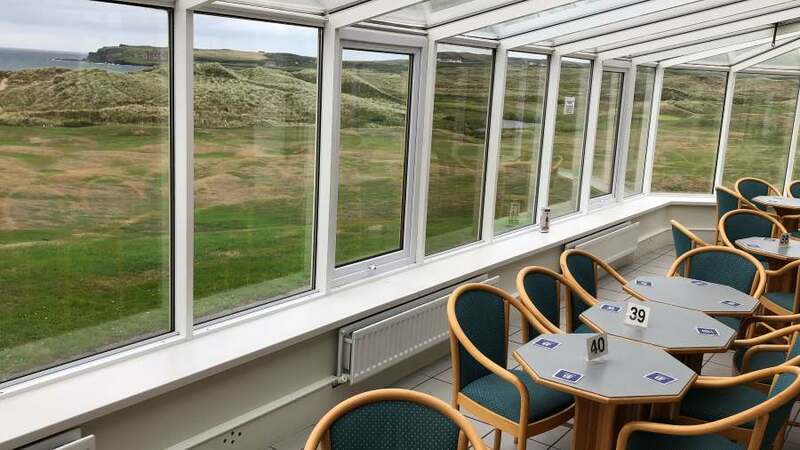 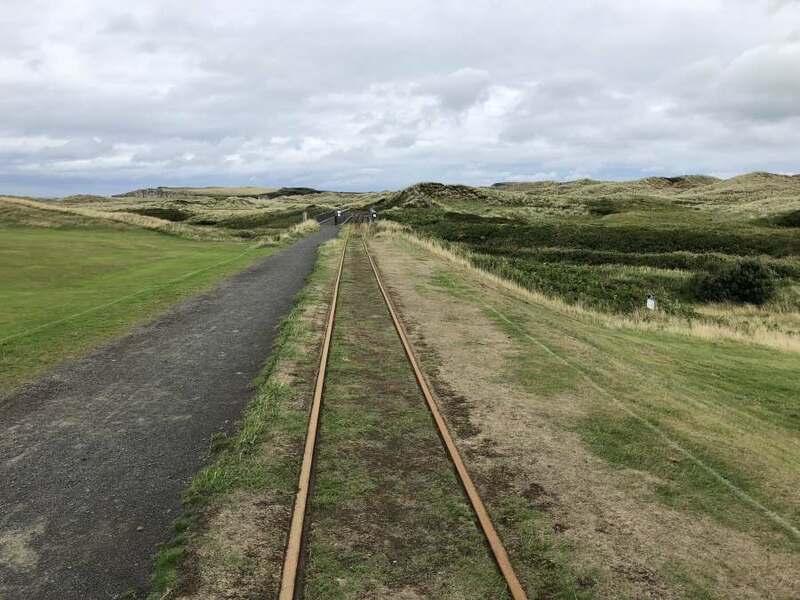 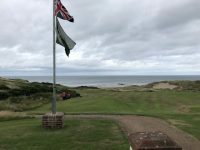 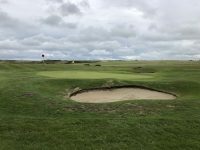 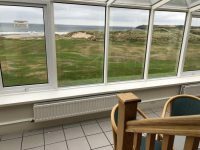 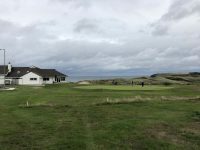 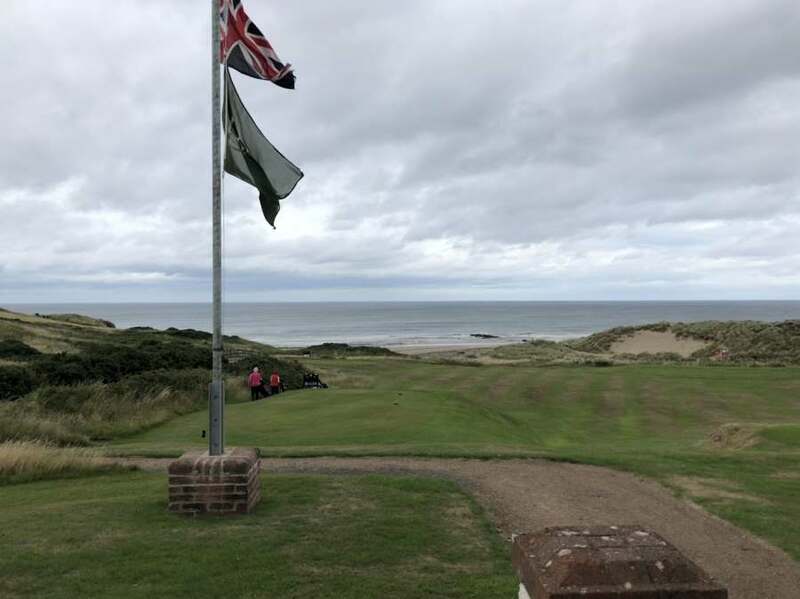 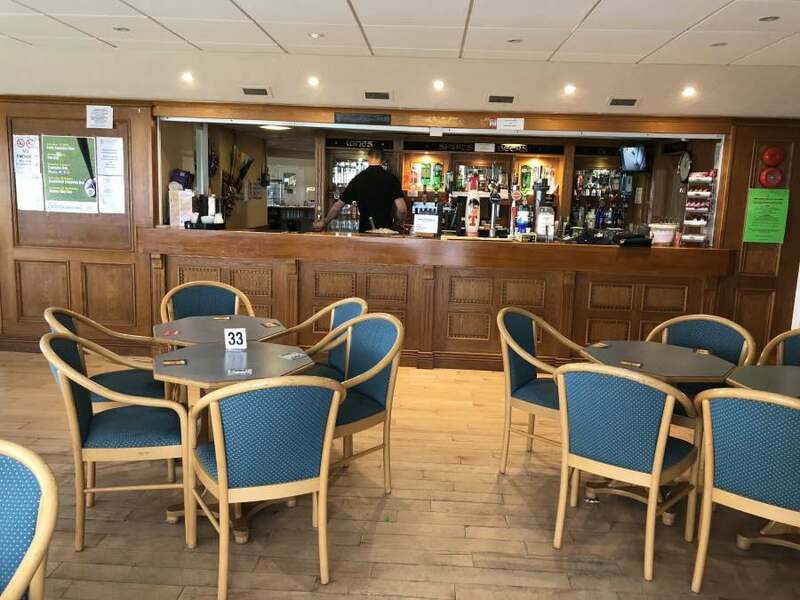 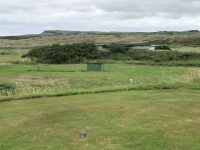 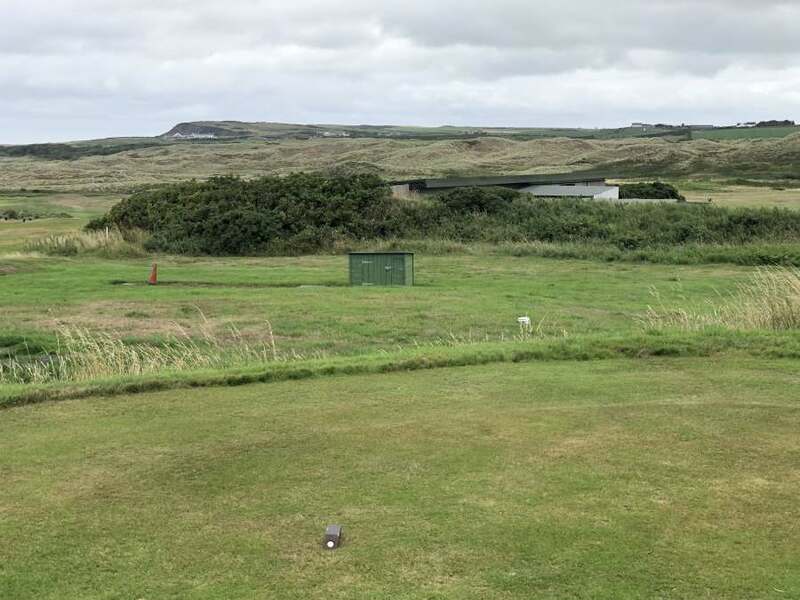 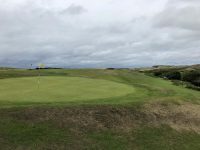 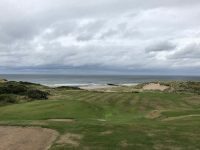 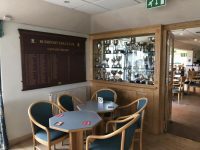 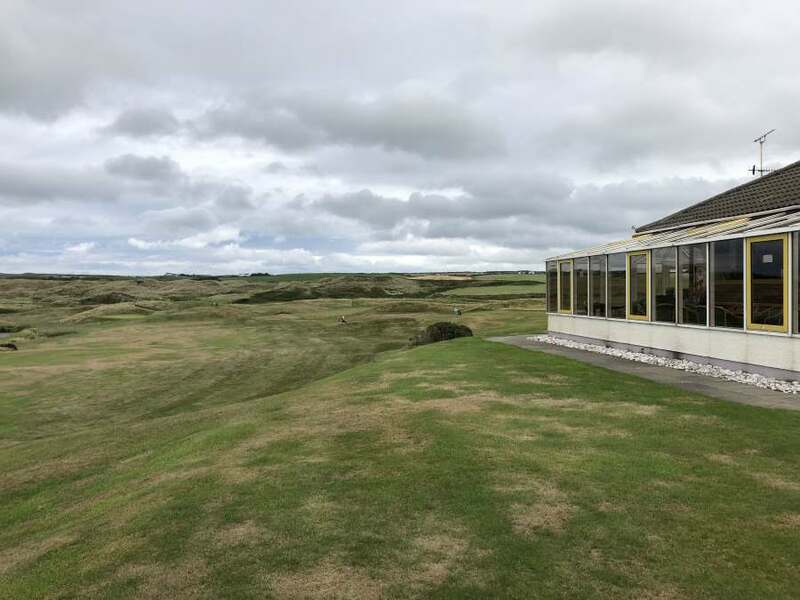 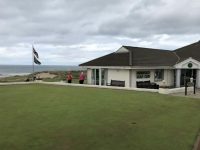 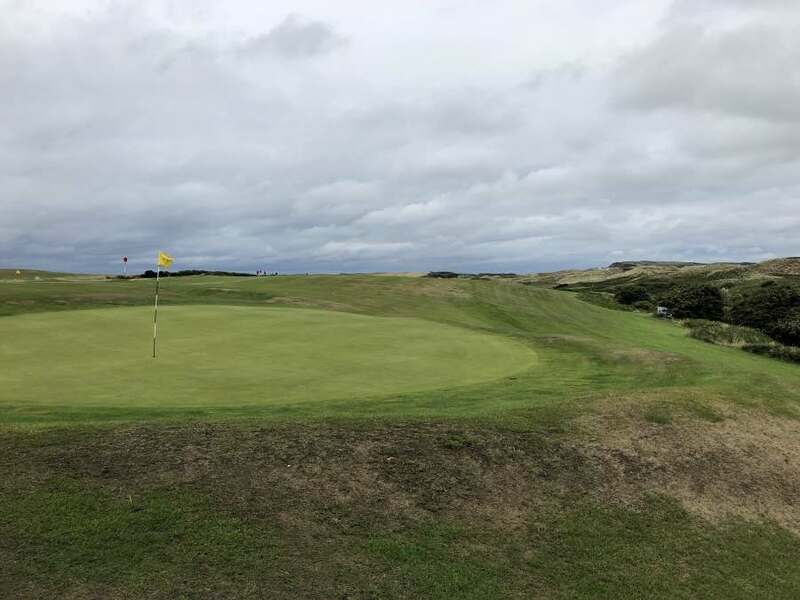 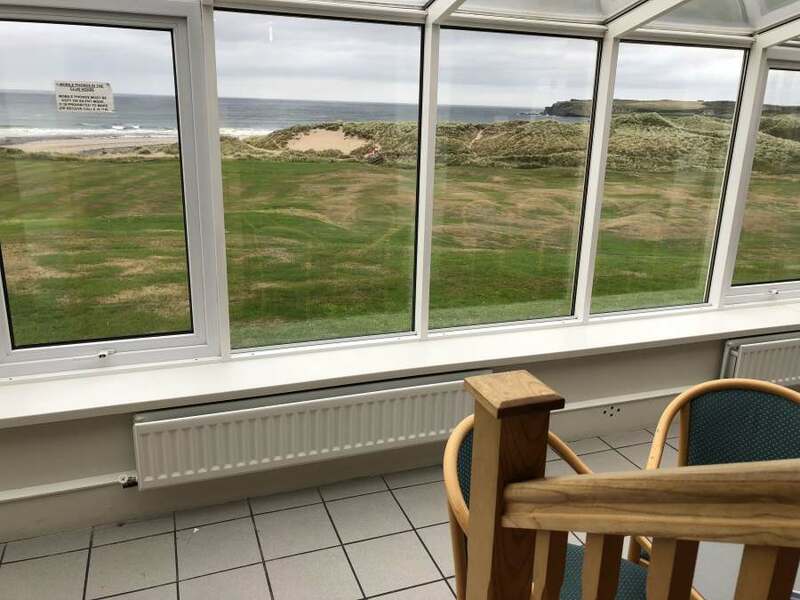 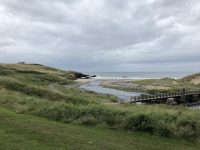 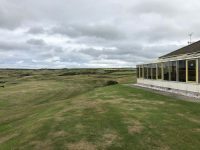 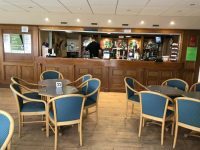 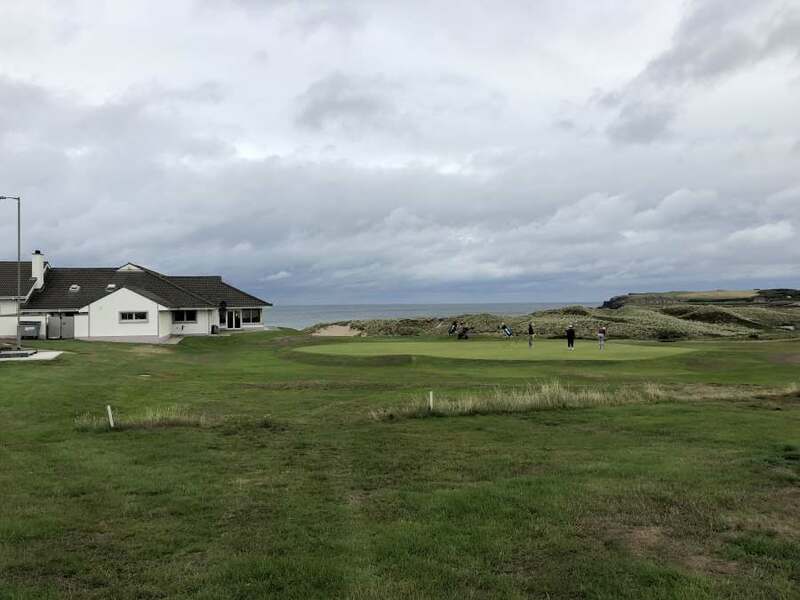 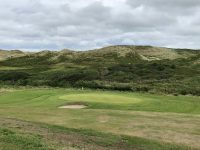 It would be worth a visit just to enjoy the club bar and conservatory which offer nearly a 270-degree view of the Atlantic Ocean, dunes, and the links! 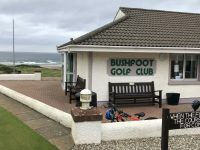 Now that Hidden Links® has shined the spotlight on it, traffic to Bushfoot is likely to increase. 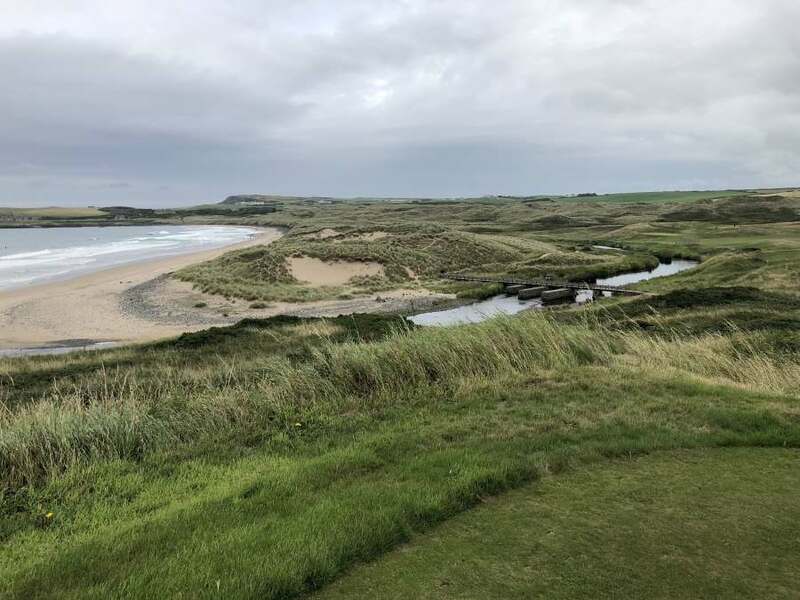 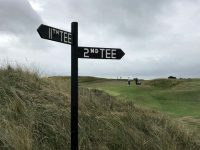 But even if the tee sheet becomes almost full, whether an arrival day warmup round or a quick evening nine after playing Royal Portrush, we think that a stop at Bushfoot will be one of the most memorable aspects of your golf trip to Northern Ireland!